Game development isn’t science, it’s an art. The process of bringing dreams to life is fluid, progressing organically in ways that often exceed expectations. Even the most methodically planned projects are simply approximations, estimates of what the future will hold through the blurry lens that is the now. It’s these unknown variables that make change appear difficult and, even perhaps, a bit frightening. Yet, change is in many ways at the heart of both technology and games, ever present in all that we create. As a result, those who embrace change often flourish, reaping the rewards of their foresight and courage. However, change should not simply be reserved solely for the bold. Developers deserve access to industry-leading tools to realize their visions, no matter the size of the team or the scale of the project. After four months of early development, change was on the minds of Uruguayan studio, GameOlic. Passionate and prepared to realize their dreams of bringing a new, unprecedented take on the wildly-popular and internationally competitive MOBA genre, the independent studio knew they’d need to give it their all if they were to stand apart, even if it called for significant changes. Fully aware of the risks it involved, but ultimately dissatisfied with the limitations of their game engine at the time, the South American team began to look elsewhere to bring their big ideas into the real world. With an unwillingness to compromise, the team spent thirty long days making careful comparisons, selecting the perfect engine to power their game, Tantra Rumble. After much scrutiny and discussion, the team elected to move forward with Unreal Engine 4. The choice wasn’t a simple one. Not a single member of the team had any previous experience working with the engine and the transition would mean scrapping everything, all progress up to that point, a sacrifice that was well worth it according to GameOlic’s CEO. Though accessibility was clearly a key deciding factor in the team’s selection, Unreal Engine 4’s power, as well as its technical and artistic flexibility were also immensely important in GameOlic’s decision to transition. 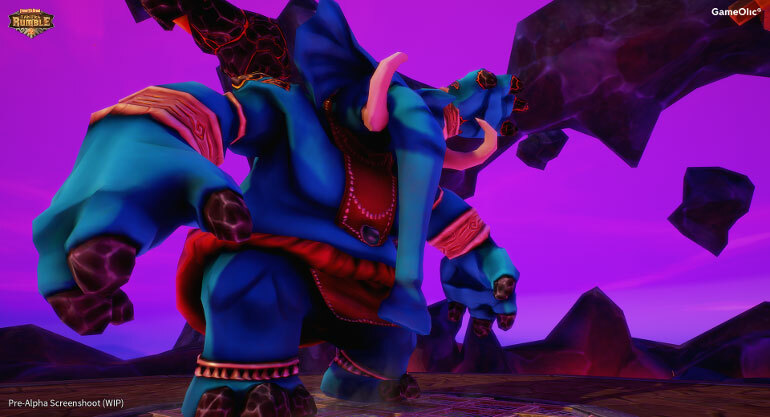 Where most MOBAs play host to a vast library of avatars from players to select from, Tantra Rumble instead focuses on a cast of eight exclusive and distinct figures, limiting the overall quantity of selection in favor of rich and fully-fleshed out characters. Features such as the Blueprints visual scripting systems and Persona animation editor toolset have been integral in creating unique characters, while also maintaining an efficient development cycle.That’s because even though each character is drastically different in design and personality, they technically share the same skeleton, requiring only slight modifications through Blueprints to deliver specific and new animations. This flare for originality begins with characters, but permeates the entirety of the portrait that GameOlic is painting. In addition to larger-than-life-personalities, Tantra Rumble sports bold and bright visuals that leap off the screen. Combatants attack with ferocious grace, accented by swirls of color and might as they take on enemies in landscapes that take on a life of their own, glowing with danger and showered with particles. These spectacular visuals are the result of a marriage between GameOlic’s artistic and programming teams. Tools such as the Unreal Engine 4 Material Editor and the aforementioned Blueprints system are instrumental in achieving the visual fidelity cherished by GameOlic, while also allowing for ease of use and internal collaboration. 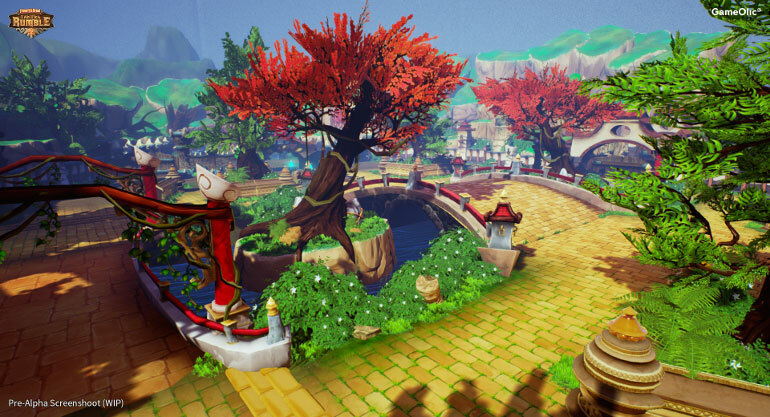 The low barrier to entry and high technical output further enforced GameOlic’s decision to select Unreal Engine 4. Bringing the world and characters of their imaginations to life, they had finally found the means to turn their dreams into reality. And yet, they’re acutely aware that there are still challenges to come. As with many games with a multiplayer focus, updates and changes based upon internal and player feedback are imperative to delivering an enjoyable and lasting experience for your audience. It’s the necessity for evolution that can cause trouble for many developers, especially those without massive staff and limitless resource. 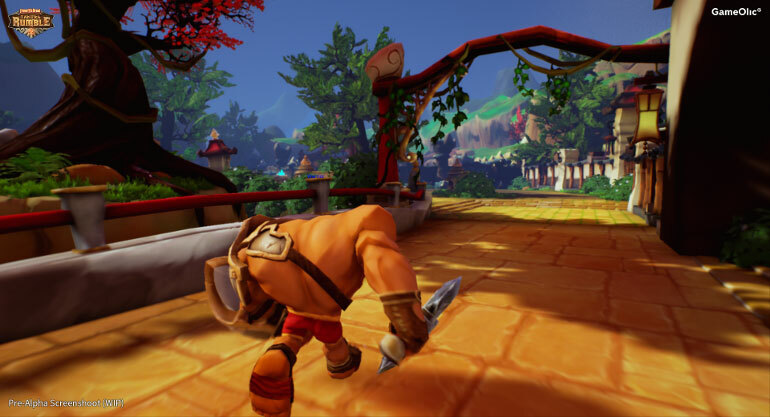 According to GameOlic Gameplay Programmers Dariel de la Noval Sedano and Fernando Castillo Coello, they’re ready to meet these challenges head on today, and post launch, with the help of Unreal Engine 4 and the Unreal community. “As an indie developer, the Blueprints system helps a lot in prototyping features quickly as new input becomes available,” began Dariel. “And with the support of the large and astonishingly helpful community of developers on UE4 AnswerHub, we are able to resolve any problems in the development process that we come across,” concluded Fernando. The ability to tweak, alter and change is a key feature of Unreal Engine 4, and has been a deciding factor for GameOlic as a whole. 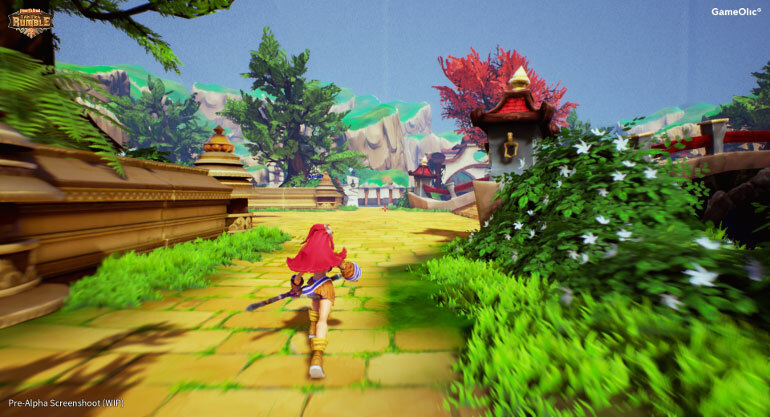 With development on Tantra Rumble once nearly halted, they decided to difficult decision embrace change and Unreal Engine 4, a decision they don’t regret. “Unreal Engine 4 allows you to achieve the quality of the game that you want to make, without any compromises. It’s fantastic that a AAA engine such as this is available for independent creators,” Pablo Bongiorni. For more GameOlic check out Facebook, Twitter and Tantra Rumble’s official website.